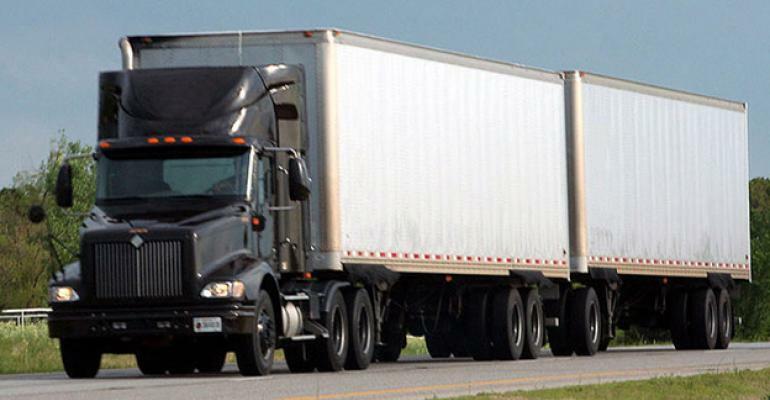 Americans for Modern Transportation, an organization that focuses on improving both the safety and efficiency of the transportation system, sent a letter to the House Committee on Transportation and Infrastructure requesting an increase in the standard length of double trailers from 28 feet to 33 feet. The group believes this move will result in fewer trucks on the road, improved safety, lower shipping costs, reduced stress on the infrastructure and environmental improvements from reduced emissions, all of which are true. I think the reasoning of the group makes sense and moving to 33-foot doubles will take some of the pressure off the roads by moving more freight per mile traveled and using less fuel to move the increased volume of freight. This does not mean we can walk away from dealing with the (sad) state of our infrastructure, but that is a blog post for another day. Longer doubles could also ultimately take some of the pressure off of the driver shortage crisis, a problem we all are dealing with and which is predicted to get worse. One thing to keep in mind is if 33-foot trailers are approved there will not be a big difference overnight. Trailers traditionally have longer asset lives and don’t cycle out of a fleet as frequently as power units. With rare exceptions, trailers remain in service for on average 10 years. This means if any move into a different (a.k.a. longer) trailer size would be a gradual process as fleets will follow their normal trade cycles and not rush to convert all its trailers to the longer length. One potential downside, which should be noted, is that the value on the used trailer market will diminish as they will no longer be the “pup” of choice. I know that longer trailer lengths have been proposed in the past without success and that there are groups within the industry that don’t support a move to 33-foot trailers. I think the benefits of longer trailers at least deserve a close look once again. Actually, anything which could take pressure off the infrastructure is worth serious consideration.